The big picture: Some predict wild, new jobs, like "cyber calamity forecasters." But in the near term, one likely outcome — already beginning to play out — is that people will be asked to do work that was previously done by 2 or 3 people with very different skills. Details: These amalgams are what Deloitte is calling "superjobs" in its latest report on human capital, released on Thursday. 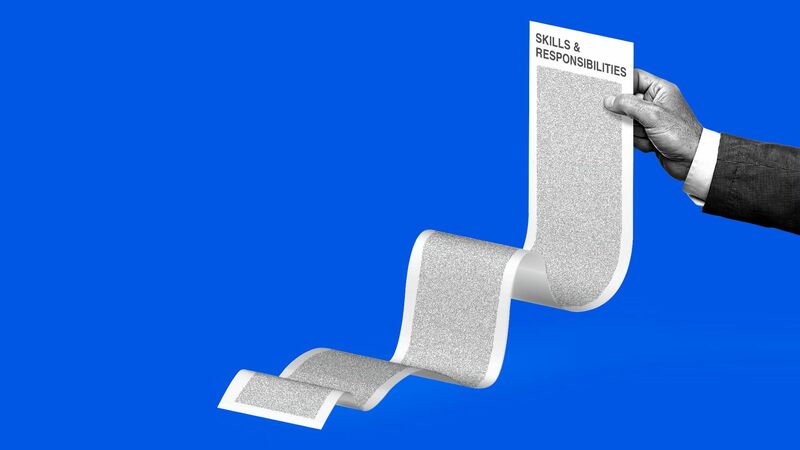 These future jobs combine "activities and job responsibilities that traditionally would never be brought together," says Erica Volini, Deloitte's U.S. Human Capital Leader. At a big bank — Volini wouldn't say which — investment advisers are starting to become career coaches, too. That's because peoples' skill sets are becoming as important an indicator of their future wealth as investments, she says. The latter includes low-paid, largely undesirable tech work, like what's being done by the "digital janitors" Axios' Erica Pandey profiled last week. In 10 years, Volini predicts, 20% to 30% of jobs will be "superjobs," 10% to 20% will low-wage, low-skill jobs, and the middle 60% to 70% will be "hybrid jobs" that require both technical and soft skills. The bottom line: As Steve reported on Wednesday, economists say automation is destroying jobs faster than it's creating new ones. The big remaining question is whether or not the best new jobs will be widely accessible.